WatchPro magazine have published a list of most read articles across their online items – and Aspin and Citizen are pleased that this article has been included in the top ten items. Back on April 24th 2014, WatchPro published an article 0n Citizen and their success with using Aspin’s PixSell iPad app for their reps to take orders. A woman from Liss has returned from a moving trip to Uganda, where she helped install three water tanks. Selina Russell, who lives in Rake Hanger, is the founder of Farnham-Road based business Cheeky Rascals, and she spent a week in Uganda. She went with Vistage, which is a group of executives and business owners, to the village of Nkuringo. 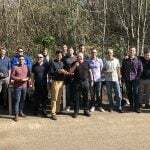 Last week it was time for the staff at Aspin to be on their best behaviour as a group of 26 ICT and Computing teachers descended on their Romsey office. They came as part of a course organised by the Independent Association of Prep Schools, designed to prepare teachers to deal with the changes to the curriculum which have been triggered by the government’s decision to add more emphasis to computing and programming. This change has partly come about in response to companies like Aspin throwing down the gauntlet to the education sector to provide them with a continued supply of quality programmers. 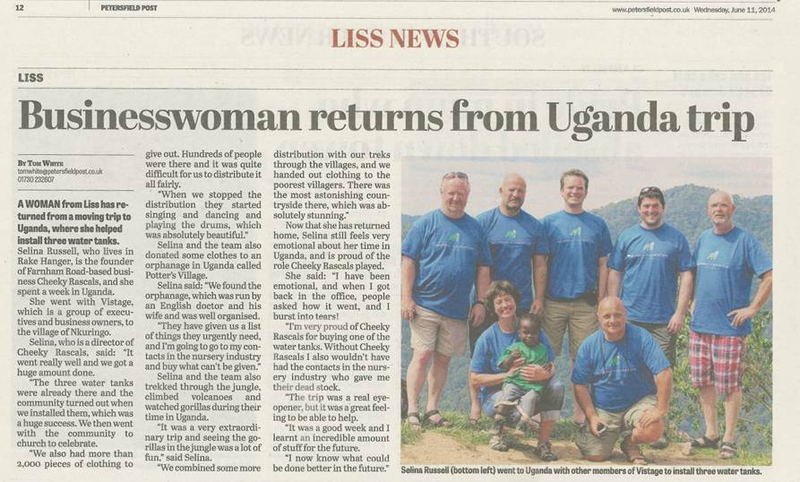 Nathan Aspin (MD), along with his Vistage group, has recently completed some rewarding charitable work in southern Uganda. 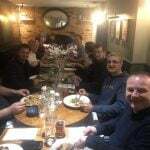 The trip was organised by Chris Read, a fellow Vistage member. Chris had visited Uganda earlier this year, and was inspired to not only sponsor various community projects, including the setting up of a Music School, but also to return with his Vistage group.